Dog Park is a book to read if you want a feel-good story. It is all centered around the love of pets and the importance of pets in life. And more than that, it is also a religious story as well. As an animal lover myself, I really it make it enjoyed how the dogs took the main stage at different parts in this book, and it made it fun to read. Bamboo and Brutus were the stars of this books just as love was in the stars for their owners. 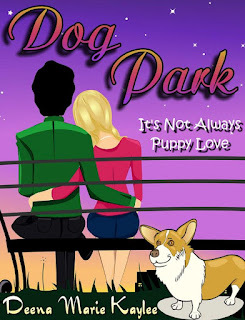 It is a cute love story where two members and workers of a church come together by chance at a dog park, and their lives are never the same after that. It brings comedy to the notion that first impressions are very important, but also shows how relationships can change when two people get to know eachother. 5/5 stars. It was short and sweet, and there were plenty of adorable doggy scenes!